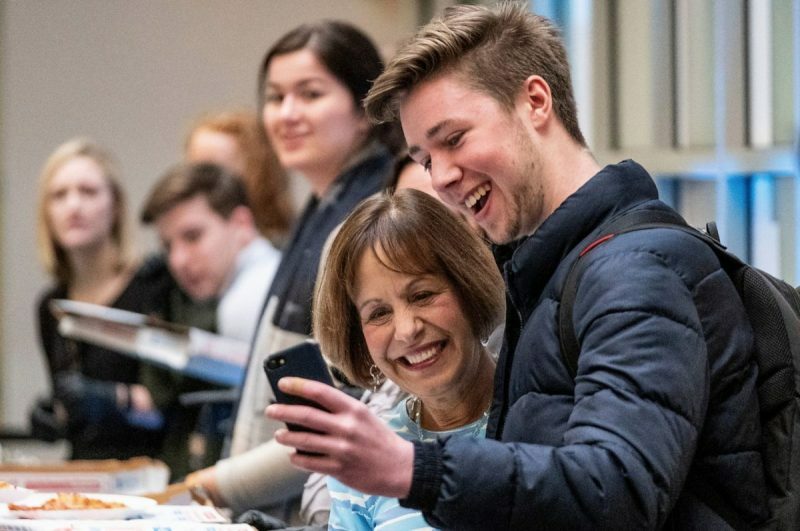 UNC Chancellor Carol Folt thanks Carolina students with pizza, cupcakes and a selfie at the Frank Porter Graham Student Union (Jon Gardiner/UNC-Chapel Hill). Carol Folt wrapped up her final week as chancellor Thursday. In her wake, she leaves feelings of sadness but also uncertainty. Vice Chancellor Bob Blouin has taken over Folt’s responsibilities for the time being, until interim UNC System President Bill Roper announces an official interim chancellor. That’s a lot of people in non-permanent positions. Folt’s last week included selfies, pizza, meetings, standing ovations, and a lot of thank yous. Payton Tysinger reports.